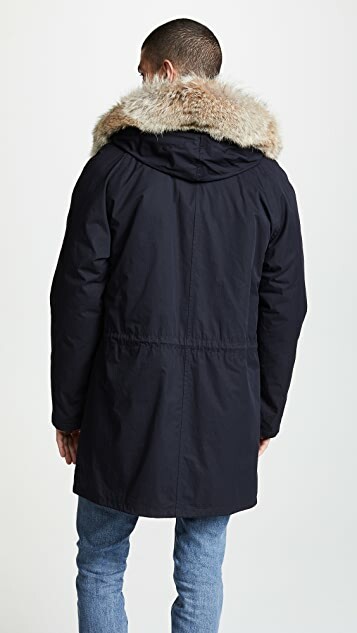 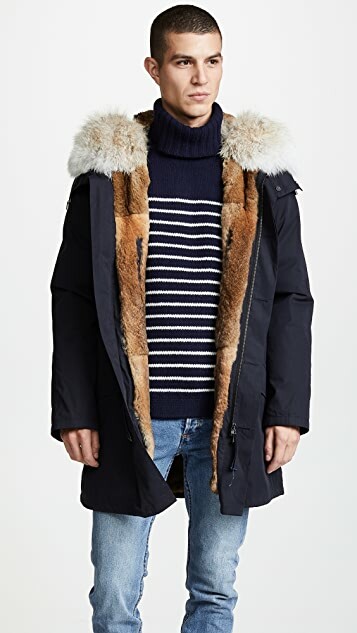 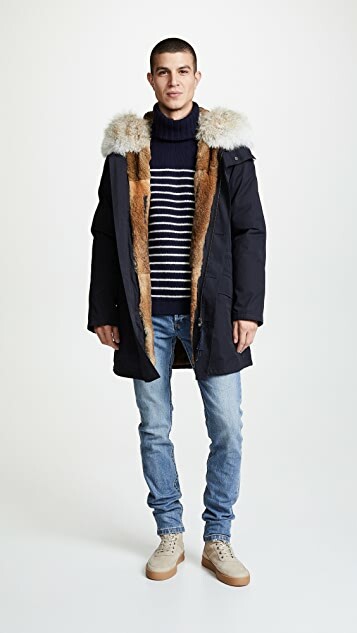 Founded as La Franco-Anglaise furrier in early 1920s Paris, the Yves Salomon brand finds a contemporary niche in fur-trimmed luxury menswear, best known stateside for its fatigue-style Yves Saloman parka. 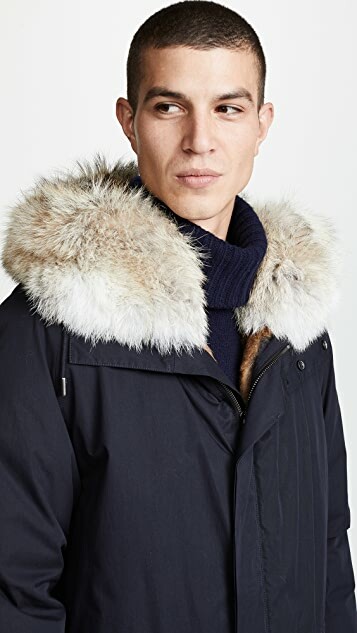 Beyond the surging interest in this signature style, the international label gains newfound acclaim for its shearling-lined jackets, ’60s-inflected car coats, and suit-shielding cashmere topcoats. 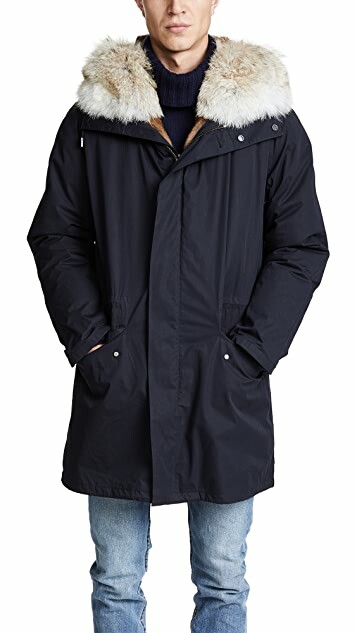 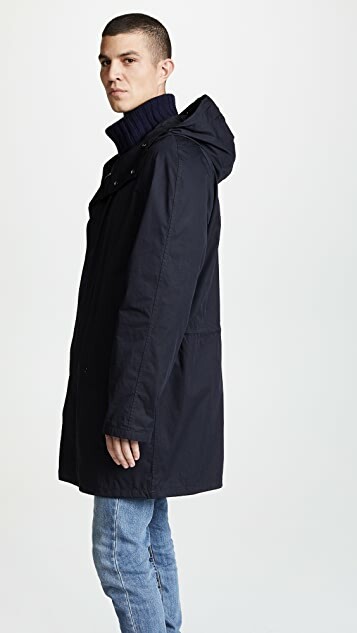 As Yves Salomon coats gain interest in their cold-weather core collection, fourth-generation general manager Thomas Salomon is advancing the brand’s legacy with lightweight jackets, apparel, and even sneakers.